I know there's a million different sped controls out there but I can't seem to find one that 1)works 2) looks good. Project - I need a temperature-based variable speed control via pwm to control cooling from a compressor. The compressor is powered/controlled by a driver board that has 3 inputs for speed control... the only one free is the pwm and its rated at 0-5v, 1-10khz. 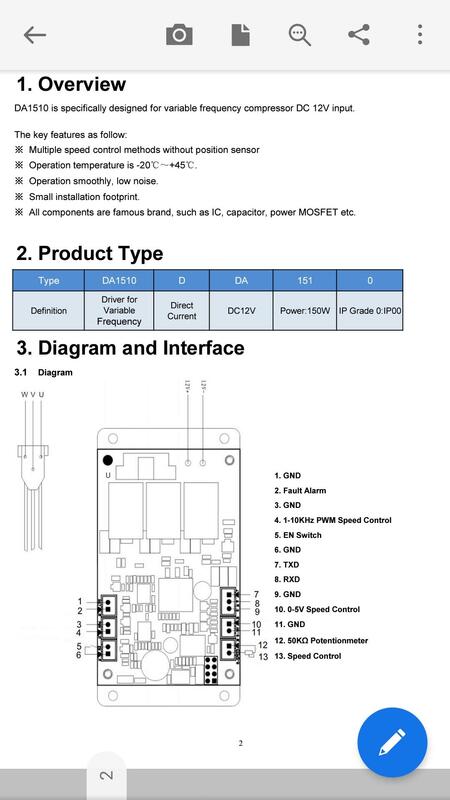 So, basically a frequency generator that auto adjusts based on temperature. 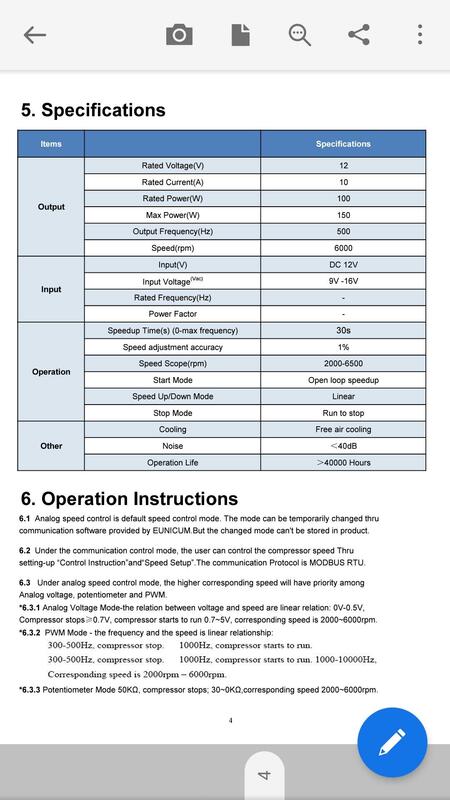 Referring to the attached pic, analog 0-5v control is being used by a wired remote rheostat, the 50k ohm pot is connected and set to the lowest level I can get without the compressor stopping. Since the highest value of any of the 3 inputs get priority, this will keep the compressor running even if the other 2 inputs are 0/off. 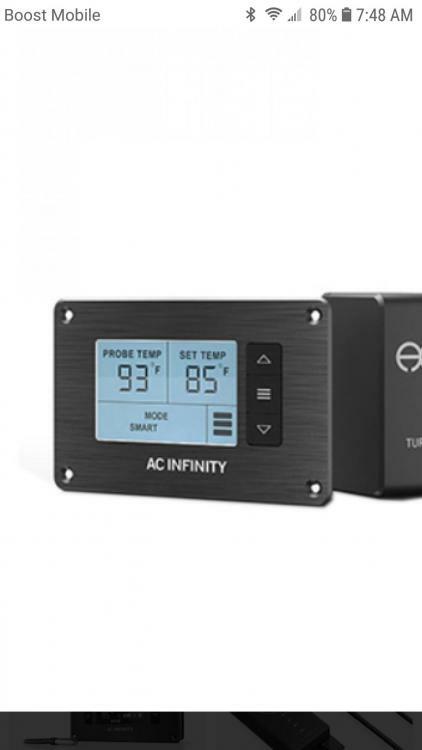 Now Ive tried using an AC Infinity temp fan control (pic for reference and style i'm going for) and stepped it's voltage down from 6.3v to 4.5v through a regulator, but apparently it's not within the right frequency or I'm too dumb to figure it out... higher probability the later is correct. It'd be really awesome to have a small 3" TFT control/display with temp, setpoint, up/down, and of course - my logo... that can be produced by the hundreds and won't break the bank account. I've tried communicating with a couple companies over seas with not much luck. 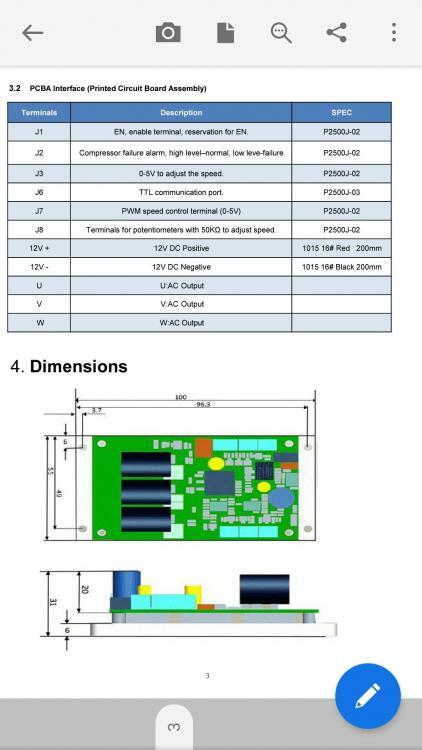 So can anyone point me in the right direction as where to go, what to buy for the chillers im producing?